For the over 500 million people worldwide estimated by the World Health Organization to be suffering from obesity, often dieting and other lifestyle changes are not enough to lose weight. Surgical options in Mexico, such as bariatric surgery in Cd. Juarez, are excellent alternatives for anyone looking to save money on a range of procedures to help with weight loss. Gastric sleeve – It involves the reduction of the surface area of the stomach by as much as 75%. Gastric bypass - It is the most common bariatric procedure; it involves sectioning the stomach into two and rerouting the small intestine to bypass the lower portion. Gastric banding – It is a minimally-invasive procedure in which an inflatable band constricts the middle of the stomach; this slows food absorption and causes the patient to feel full faster. Biliopancreatic division – It is similar to gastric bypass, with more of the stomach and intestine removed. Bariatric surgery is typically recommended for anyone with a body mass index (BMI) of 40 or higher; this includes men more than 100 pounds overweight, and women more than 80 pounds. Bariatric surgery is also recommended for anyone with a BMI between 35-40 suffering from a condition (such as sleep apnea, diabetes or heart disease) that could be improved by losing weight. Regardless of which procedure is right for you, there are qualified doctors specializing in all forms of weight loss surgery in Ciudad Juarez. Ciudad Juarez is located in the Mexican state of Chihuahua, directly across the Rio Grande from El Paso, Texas. Americans who travel for bariatric surgery in Cd. Juarez by land rarely need documentation to travel within 20-30 kms of the border; those wishing to explore more of the country can easily obtain a tourist visa, which is good for 180 days. Though Juarez hosts its own international airport, most patients find it easier to fly into El Paso. Bariatric surgery can require a hospital stay of several days to fully recover. Anyone visiting for gastric sleeve in Ciudad Juarez will likely not need to leave the city’s tourist center, and should be able to avoid any incidences. Low bariatric surgery costs in Ciudad Juarez result from the country’s lower cost of living but do not reflect on the quality of treatment. Government-accredited hospitals in Mexico are as clean and modern as any in the US. Many surgeons have recieved training abroad and speak fluent English. Quality care at a lower price is one of the reasons bariatric surgery in Cd. Juarez, Mexico is becoming increasing popular with cost-conscious Americans. 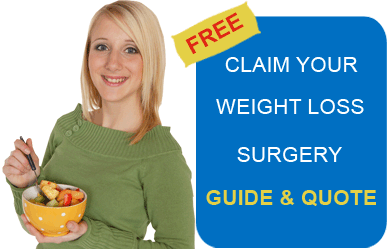 Bariatric Surgery World facilitates low cost Bariatric Surgery in Ciudad Juarez – Mexico. For more information, submit the estimate-request form on the right.